South Korea has lost an entry in the women's singles at next year's figure skating world championships following a middling performance at this year's event. Kim Ha-nul earned 170.68 points total to finish 15th among 23 skaters at the 2018 International Skating Union World Figure Skating Championships in Milan, Italy, on Friday (local time). Kim fell short of her personal best, 175.71 points, set during the PyeongChang Winter Olympics last month. 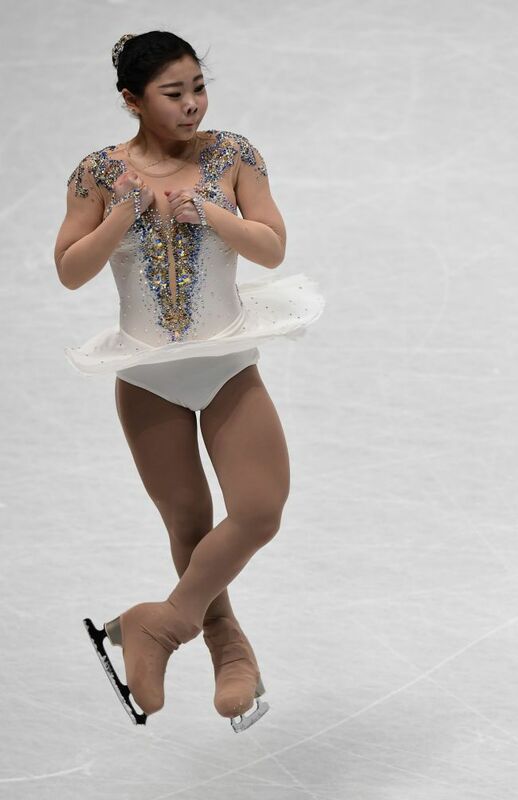 One other South Korean, Choi Da-bin, withdrew after the short program due to problems with her boots. With that, South Korea will only be able to send one skater to the women's singles at next year's worlds in Saitama, Japan. For countries with two entries, the total number of their ranking positions must be 28 or less to maintain two spots for the following year. With Kim's 15th-place finish, Choi needed to place 13th or higher for South Korea to maintain two entries in 2019. South Korea had kept two entries at the worlds for nearly a decade while Kim Yu-na, 2010 Olympic gold medalist and two-time world champion, was still active. Then the country lost a spot at the 2016 championships when Choi and Park So-youn placed 14th and 18th. In 2017, Choi finished a career-high 10th to win an extra entry for 2018. If only one skater represents a nation, that skater can win two entries for his or her country the following year by placing in the top 10. Kim Ha-nul had been 14th after the short program with 60.18 points, and had a mistake-filled free skate Friday. She only managed a triple lutz in her opening triple lutz-triple toeloop combination. Her next combination was supposed to be double axel-triple toeloop, and Kim only executed the first jump. Later in the program, Kim under-rotated her triple salchow and ended up with a double salchow, costing herself more points. Kaetlyn Osmond of Canada captured her first world title with 223.23 points. The bronze medalist at PyeongChang had been fourth after the short program with 72.73 points, nearly eight points behind the leader, Carolina Kostner of Italy, but led all skaters with 150.50 points in the free skate. Wakaba Higuchi of Japan finished second at 210.90 points, followed by fellow Japanese Satoko Miyahara at 210.08 points. Kostner scored just 128.61 points in the free skate and ended in fourth place overall with 208.88 points. Alina Zagitova, the reigning Olympic gold medalist from Russia, was second behind Kostner after the short program, but did even worse than the Italian in the free skate with 128.21 points. Zagitova was fifth overall at 207.72 points.